The interview is the next step in the process of getting a job after the structured interview and the motivation letter. When you have successfully got through these two formalities, you get to the first personal meeting with your potential employer. Therefore, it is important to hold his/her interest and to impress him not only with your education, work experience and skills, but also by your appearance. You may read how to cope with the two mentioned rungs in our imaginary ladder in our articles on the topics of How to Write a CV and How to Write a Motivation Letter. 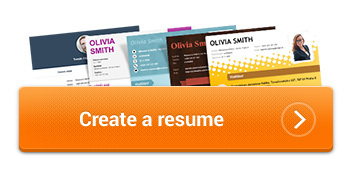 If you want to facilitate your work, you can generate your professional CV free of charge here. At the beginning, let us describe the halo effect and why it is a good idea not to underestimate it in an interview. The halo effect means the assessment of people on the basis of your overall impression during your first meeting. Even before you manage to say anything about yourself. If you make a good first impression on a person, such a person will probably assess you positively in your future meetings as well. This subsequently results in a better approach of your superior towards you and faster career growth, a higher salary and a lot of other agreeable things. Let us analyse what we can do to use the halo effect to our benefit. First it is a good idea to find out about the corporate culture in the given company. If the company attaches a lot of importance to suits and heels, adapt yourself and wear a woman’s suit or a trouser suit and closed-toe shoes with small heels. If there is a much less formal mood in the company, you won‘t make a mistake even if you wear jeans and a T-shirt, a jacket on top of that and ballet shoes matching your handbag. However, always take care to look neat and tidy and be particular about your clothes looking high-quality and fitting you. Avoid exaggerated necklines, skirts that are too short, shoes on immoderately high platforms and anything which could look cheap or vulgar. Of course, the same applies to your make-up and hair style. It is frequently true that less can mean more. Wash your hair and avoid unsightly growing-out hair. You want to get a new job; therefore, don’t feel sorry about spending the money and time invested in yourself. Take the visit to your hairdresser’s as a reward awarded beforehand, as a method of relaxation. By the way, you will make a much better impression if you are relaxed and rested. Pay special attention to your hands. Cultivated hands with tidy nails, preferably in a natural colour, are more important than you may think. The same way as ladies, adapt yourself to the company where you are applying for a job. If requested by the situation, don’t be ashamed of wearing a well-fitting suit, a tie and having a briefcase in your hand. If you want to look less formal, it is all-right if you wear decent jeans and a shirt, or a T-shirt and a jacket. As far as shoes are concerned, our grandmothers used to say: you may recognize a man by his shoes and his wife! You don’t have to take your wife to the interview; however, choose your shoes wisely. If you are wearing a suit, select matching formal shoes; if your style is less formal, the shops currently offer an inexhaustible number of semi-formal shoes. Men don’t have to deal with make-up; however, their hair must also be clean and neat. Moreover, they must select the right length of their facial hair to look neat. This doesn’t just apply to their beard or moustache. Unsightly ear and nose hair can unfailingly damage your overall impression. What could be a problem are the popular modern methods of body decoration. Earrings in women, and piercings and tattoos in hidden places are all right. However, if someone has forearms completely covered by tattoos, or piercings in all possible places on his/her face, he/she must take into account that this is a great disadvantage in a lot of positions in many companies, especially in those strictly paying attention to etiquette. If you are considering such a step, consider carefully whether this decoration will not block your way to your dream job sometime in the future. You may read about other obstacles when looking for a job in our article called What Kind of People are not Likely to be Recruited by Companies and Bosses. Whether a woman or a man – don’t forget that the best accessory is a nonchalant smile and a sparkle in your eyes, the signs of healthy self-confidence, which say that you are precisely the person they are looking for.